For many, our home will be the largest investment we make in our lifetimes. At VirtuActive our passion is to collaborate with our clients to bring their dreams to reality before the build process begins. VirtuActive takes your dream home from concept to traditional floor plans and then to a virtual 3D design giving you the ability to walk through your home and fully experience your design before you step foot in it. Most of us are not architects and cannot understand the language of traditional blueprints. VirtuActive’s goal in our 3-D design process is to put this in a language you clearly understand. We want you to walk in to your new home just as you envisioned it, with no regrets. So step into the 3-D world with us and let your dreams become reality. We are a residential drafting service that strives for the highest standards in quality designs and client's experience. We are a residential drafting service that strives for the highest standards in quality designs and client's experience. To achieve this goal, there is no limitation on the number of revisions and there are no additional consulting fees. We want you to walk away loving the design! We take pride in developing designs that reflect each client’s unique style and creating spaces that are both aesthetic and functional. Precision Enterprises, Inc. is a residential contractor specializing in sunrooms, additions, remodeling, and new home construction. Every project is customized to fit the specific needs of each client. Using top-line products and workers, PRECISION is what you get every time! Call us today to have one of our trained professionals meet with you about your home improvement plans! 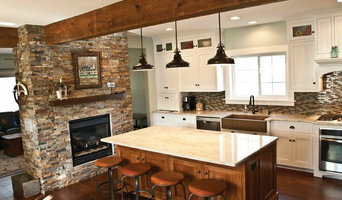 Award Winning Kitchen + Bath Design Build Firm. We specialize in individually tailored creative design and installation solutions for not just kitchens, but also bath, laundry and dining. The firm draws on backgrounds in art, landscape, and architecture to provide informed, highly considered design for a wide range of clients, sites, and projects – from individuals to art institutions. 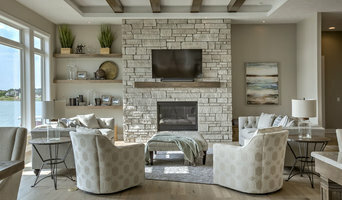 Cramer Kreski Designs, established in 1997, is a regional architectural firm based in Omaha, Nebraska specializing in the design of unique residential remodels, additions and new personalized homes in Nebraska, Iowa, South Dakota and Colorado. Advanced House Plans specializes in the design and renovation of all types of homes. 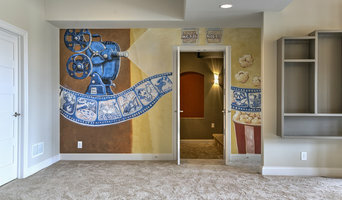 All of our custom homes are designed in 3D to help you visualize your home before it is built. We also sell home plans on our website www.advancedhouseplans.com. We would love the opportunity to design your next dream home! Delivering innovation and leadership through creative home design, marketing, and business transformation solutions, while protecting our right to do so, maximizing value for our customers. Highrock is an award-winning build & remodel team owned by Aaron Hochstein, and is dedicated to exceeding customer expectations each and every time. We are forefront in the Omaha construction community, participating in many of the city's construction showcase events, including the NARI Remodel Home Tour, MOBA Remodel Omaha Tour, Spring Parade of Homes, and Fall Parade of Homes. We pride ourselves on our quality craftsmanship as well as our impeccable service and attentive communication. We have been remodeling Omaha and the Greater Omaha Areas since 2005 and have been active members in NARI (National Association Remodeling Industry) for several years, which is the only professional association dedicated solely to the remodeling industry. In 2011 and 2012, Aaron was honored to be named Contractor of the Year by the Greater Omaha Chapter of NARI. We enjoy what we do, from initial consultation to providing the finishing touches, and have a passion to please our customers along the way. Whether it is a kitchen or bathroom renovation, a complete teardown and rebuild, or a new construction, Highrock can meet your needs. Formed by Garry Martin in August 2011, Prairie Studio provides design and documentation services for residential clients, consulting assistance to architectural firms, and general work in the building construction field. Prior to forming Prairie Studio, Garry worked 20 years at various architectural firms, working on just about every project type there is. Garry graduated in 1991 with a Masters of Architecture degree from the University of Nebraska-Lincoln. Gerber Architecture is a full service architectural firm focused on high-end custom residential design. We take pride in developing designs that reflect each client’s unique style and creating spaces that are both aesthetic and functional. Residential remodel and addition projects are designed to reflect and enhance the existing home and create the idea that the new project has always been a part of the original house. New houses are designed to reflect the lifestyle of the client and maintain the integrity of the neighborhood and adjacent environment. Jared D. Gerber, AIA In 2005, Jared Gerber founded Gerber Architecture to concentrate on residential architecture in the Omaha area. He has practiced architecture in Omaha since 1992. From this experience, Jared has gained an understanding of the local building climate and developed a professional network with the area’s contractors and subcontractors. Jared’s extensive resume includes clients in the District 66, Fairacres, Dundee and Memorial Park neighborhoods as well as outlying areas of Omaha. Jared earned his Bachelor of Architecture and Master of Architecture degrees from the University of Nebraska and secured his architecture license in 1995. Jared is involved with many community organizations and has served on the AIA Omaha Board as well as several AIA committees. T. Hurt Construction, Inc. is a locally owned and operated construction company. Founded in 1994 by Terry Hurt, T. Hurt Construction is a member of the National Association of the Remodeling Industry and the Heartland Better Business Bureau. T. Hurt Construction is a State of Nebraska licensed contractor and is on the BBB Honor Roll for excellence in customer service. Our goal is to offer a pleasurable remodeling experience with the end result being total customer satisfaction. From the initial consultation to project completion, we strive to make our client's home improvement dreams and wishes come true. T. Hurt Construction has built lasting relationships with clients through affordability, longevity, and quality craftsmanship. Our number one goal is to provide our clients with a high quality end product that they will enjoy for many years to come. To achieve this objective, we not only act as the general contractor for your project, but our team of employees possess the skill and experience needed to actually execute much of the complex work needed for our projects. This helps us to control the schedule and the quality and allows us to complete the work in a timely manner. When we do use sub-contractors (such as electrical, plumbing and mechanical) they are licensed and highly skilled professionals with whom we have a longstanding working relationship. This combination of highly skilled internal and external team members allows us to deliver a high quality product that will meet your objectives and exceed your expectations. Modernistic Homes provides truly custom home designs specializing in transitional and modern styles for both new construction and remodeling. Floorplans are available with 3D renderings of both exterior and interior spaces. Considerations are provided for the way clients use their space to tailor designs to their lifestyle or aspirations. Designs are built around a core of beliefs and principles including houses not conforming to a single rectangular box with false external details, proper house siting for views and preserving natural land features, clean lines and aesthetics, incorporating lighting, mechanical, electrical, and plumbing design, and utilizing industry best practices for envelope and wall construction types. Extensive knowledge of materials, assemblies, and craftsmanship aid in the development. Additional services include consulting on new and existing construction projects to ensure solutions are being adequately delivered to the end user and providing remodeling schematics and renderings for use in the real estate market to potential buyers that may not be able to see past existing features. Actual Architecture Company is an internationally recognized architecture and design firm based in Omaha, Nebraska, but operating around the world with expansive vision. The firm draws on backgrounds in art, landscape, and architecture to provide informed, highly considered design for a wide range of clients, sites, and projects – from individuals to art institutions, urban to rural settings, and furniture to large buildings. By maximizing the potential of academic and professional practices, and with an open mind to creative collaboration, Actual Architecture Co. integrates design-research, speculative design practice, and a commitment to building architecture that enhances culture and community. Actual Architecture Co. was founded by Jeffrey L. Day, FAIA after 15 years practicing as a founding principal of Min | Day in San Francisco and Omaha.